Caitlin Moran arrives at the Specsavers National Book Awards at the Mandarin Hotel, London. 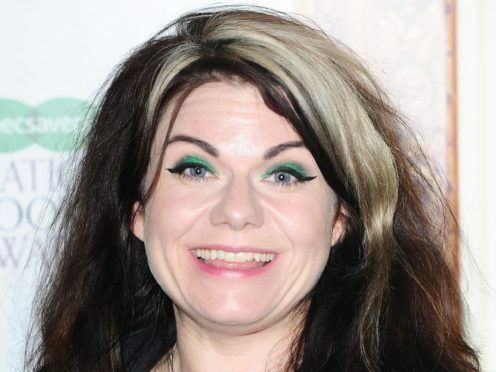 Writer Caitlin Moran has called on men to lead the fight for a male version of feminism. She said men needed to take the lead and argue for a progressive form of male feminism, rather than the regressive alt right-led version that sees men regain power by taking it away from women. Moran argued that there has never been a time more than now when a men’s movement was needed. “The whole thing about feminism is that it is about equality. The patriarchy screws us all over equally as hard,” Moran said. “For men the leading cause of death under the age of 50 is suicide. “Men die because they cannot talk about their feelings, they cannot admit weakness and they feel becoming powerful is the only thing that matters, they lose custody of their children in divorce battles. “For the last five years, I have been driven crazy by the fact that in a way that every woman I know, we spend so much time talking about what it means to be a woman, but my male peers generally do not do this. “There is no conversation happening and it is a massive void. “I have spent years saying to men they have got to do this for their sons, for their grandsons and for teenage boys because otherwise all they have is Jordan B Peterson. Moran, who was speaking at the Cheltenham Literature Festival to promote her new novel How To Be Famous, said unless men took the lead, women would have to do it. “I’m a busy woman and I’m already trying to sort out women and the idea that women would then have to sort out men as well is the ultimate irony of feminism,” she said. “But I have recently changed my mind on this because if you look at what women have they are in a stronger position then men organisationally. “In the last 120 years what it has been to be a woman and what we can expect from a woman’s life has changed absolutely fundamentally and most of us believe, even if we do go through bad times, that things will only get better. “I presume that things for my daughters and granddaughters will be even better for them than they were for me. “In that same period, what it has been to be a man has not really changed at all. What feminism has done is build this global network of information, comfort, advice and self-improvement. “Every woman I know in the public eye has to spend 30% to 40% of her time dealing with being a woman.